If you have suffered from a personal injury in an auto accident, the first things that you should do are to seek medical attention and contact an auto accident lawyer serving Riverside, CA . A car accident lawyer can protect your rights and ensure that you are reimbursed for medical expenses and other damages. 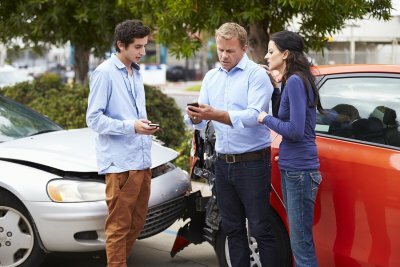 Here are the most important steps that you should take after an auto accident that causes personal injury. The first thing that you should do after an accident, even a minor fender bender, is to call 911 to report the accident and be evaluated for injuries. Many car accident injuries don’t cause symptoms until days or weeks after the accident, so it’s crucial that you are checked by an EMT or medical professional immediately even if you don’t think that you are injured. Otherwise, there will be no proof that your personal injury was caused by the auto accident. You must also file a police report, as most insurance companies require one in order for you to pursue an insurance claim. It will also be incredibly helpful to your personal injury lawyer. The next thing that you should do is take clear, comprehensive photos of the accident scene. Photograph the damages caused to all of the cars involved, as well as any road signs, road hazards, or traffic lights that influenced the accident. You should also take photographs of tire skid marks that may prove liability, as well as any personal injuries sustained at the scene. If you sustained a personal injury in the accident, you should hire an automobile accident lawyer as soon as possible. A personal injury attorney who has experience with car accident injury claims can be very valuable if you need to prove liability or seek reimbursement for damages. Your car accident lawyer will communicate with insurance claims agents, doctors, and other attorneys on your behalf. He can also help you reach a settlement for physical, psychological, and property damages.